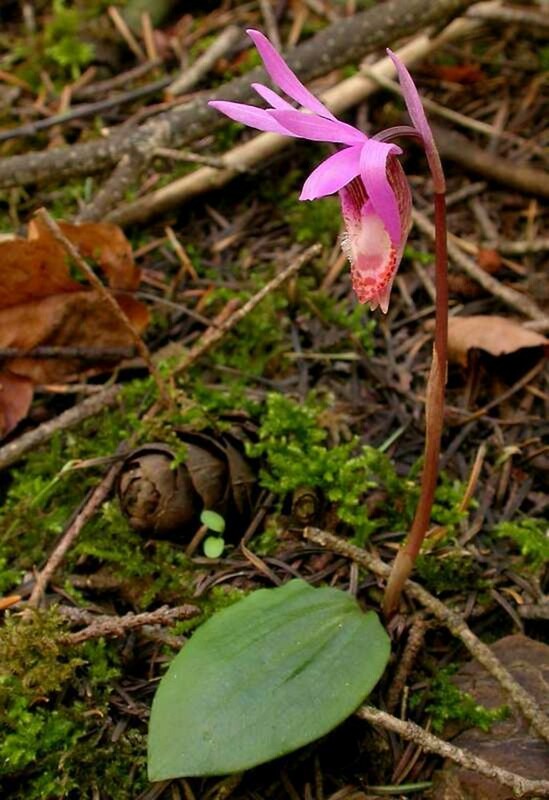 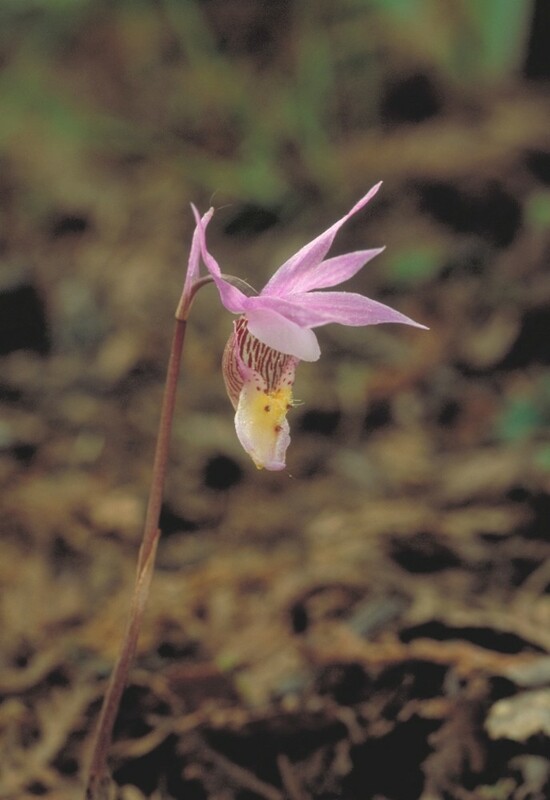 Fairy-slipper is a rare orchid in New England, being found only in northern white-cedar (Thuja occidentalis) dominated swamps in Maine, New Hampshire and Vermont. The generic name (Calypso) comes from Homer's sea-nymph in the Odyssey who kept Odysseus concealed seven years on her island. 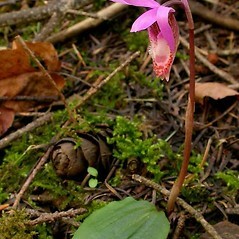 The Thompson Indians of British Columbia chewed the corms and sucked on the flowers to treat mild epilepsy. 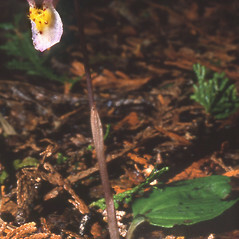 labellum lacking a pair of apical horns and also without evident yellow bristles, and plants with a pair of basal leaves (vs. C. bulbosa, with labellum with a pair of yellow, apical horns and also with evident, yellow bristles, and plants with a single basal leaf). 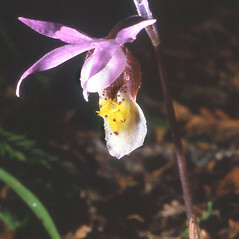 labellum lacking a pair of apical horns and also without evident yellow bristles, and plants with 3 or 4 leaves borne on a stem (vs. C. bulbosa, with labellum with a pair of yellow, apical horns and also with evident, yellow bristles, and plants with single basal leaf). 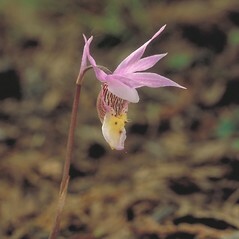 fairy-slipper. 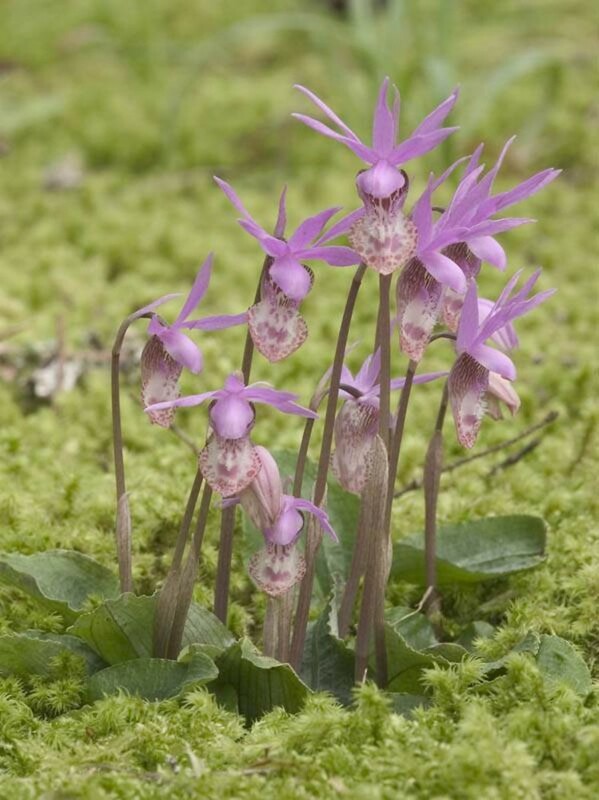 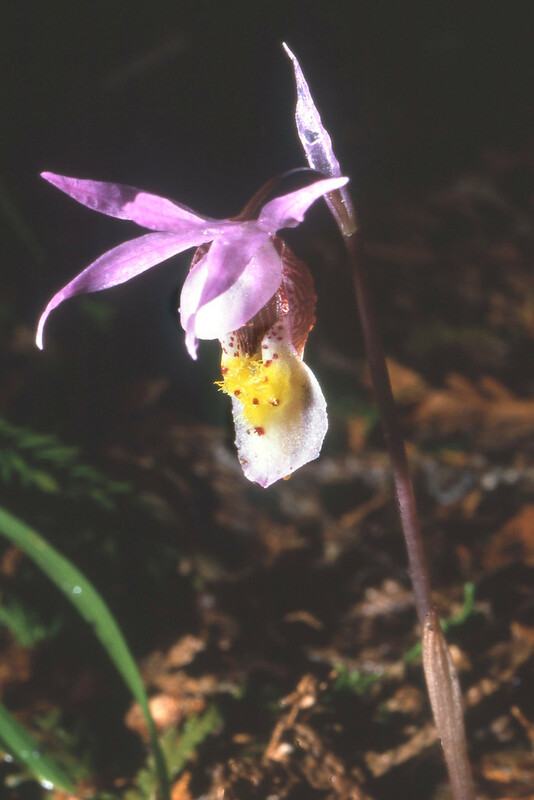 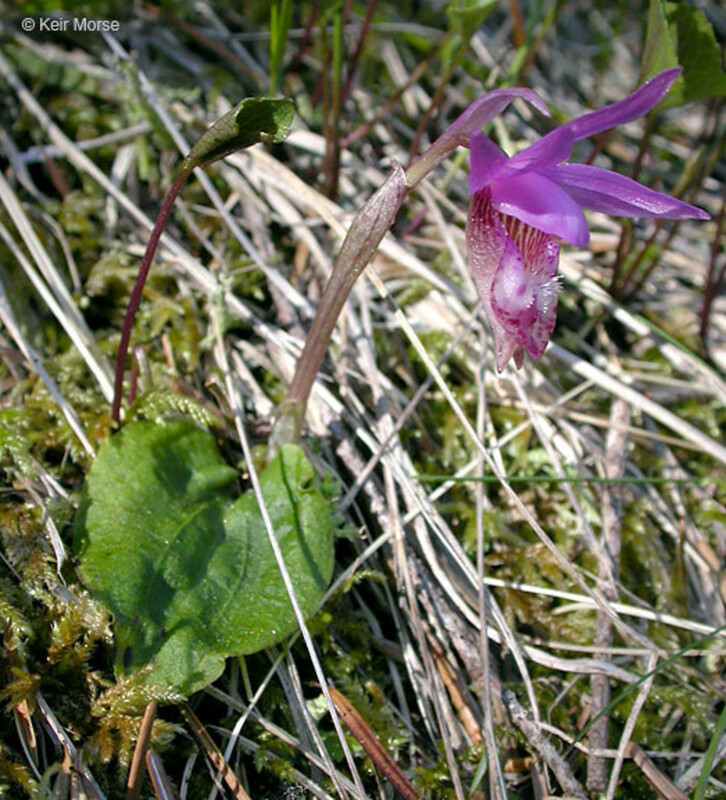 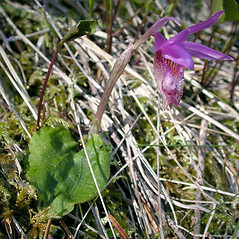 Calypso bulbosa (L.) Oakes var. 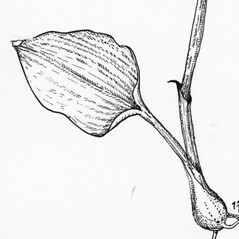 americana (R. Br. 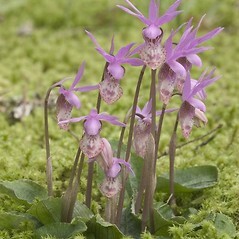 ex Ait. 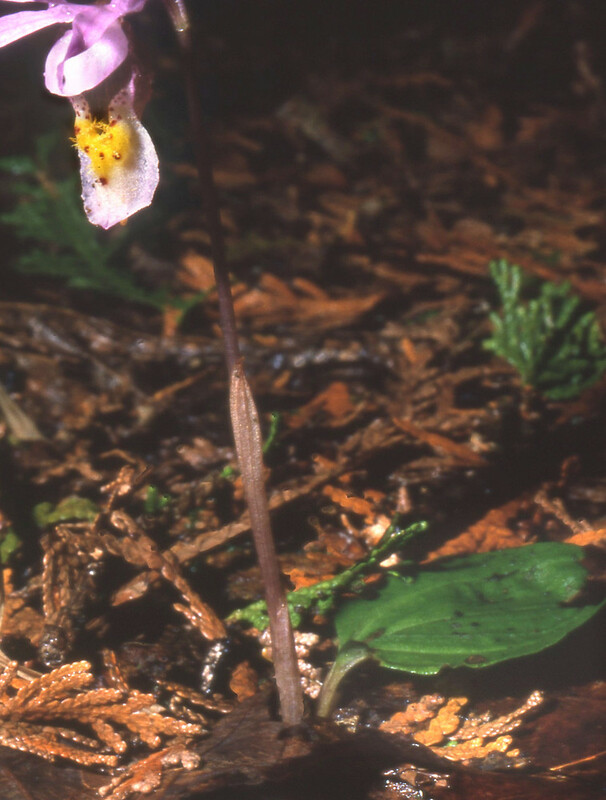 f.) Luer; Cypripedium bulbosum L., pro parte; Cytherea bulbosa (L.) House, pro parte • ME, NH, VT. Evergreen swamps dominated by Thuja occidentalis.